Randal became ill sometime during 2010 and his illness stretched into 2011 despite my (and my vet's) best efforts. There were many days I thought I'd open Randal's QT tub to find him dead, but he kept hanging on. Eventually he won the battle, and after 9 months of fighting he took his first meal in that time. He wasn't his old self again though. He would still get mucus buildup in his mouth, but when I got it looked at by the vet there was nothing present, so I suspect he just had permanent damage (he had severe pneumonia so that wouldn't be surprising.) He ate fine, shed fine, and breathed fine (it wasn't in the lung at all, just the mouth.) Eventually this reduced to almost nothing by early this yr. For this reason I kept him in permanent quarantine away from the rest of my collection just as a precaution. He was quite grumpy with me after his illness and it took him a while to come around again - all those shots weren't fun! He didn't get bitey, but I could tell he didn't want my attention for a while. Here he was before his illness, in 2009.
not as robust as he was before for sure, but seemingly healthy and bouncing back. He had been doing quite well from these pics up until his death. On April 15th I decided to get him out, do some regular maintenance in his cage and visit with him for a bit. I got him out and immediately noticed his coloration was very pale compared to normal. He actually almost looked like how a female Ball Python glows before ovulation. Obviously though, he's a boy so it seemed odd, but otherwise he seemed perfectly healthy. He had gained approx. 200 grams since his last photos so he was looking good. I put him back, said goodbye and went about my business the rest of the day. I SO wish I would've stopped to take a couple of photos while I had him out... But this time I didn't. and I'll regret it forever. Next day, I go to do the usual check on everyone routine and I'm shocked at what I see. My boy upside down, dead in his viv. I couldn't believe it... But knew he was definitely dead as soon as I saw. It looked like he had passed fairly close to the time I found him. I really don't know what killed him considering he seemed fine the previous day, but I can't help but feel like it most likely had something to do with his struggle with the RI in the past. 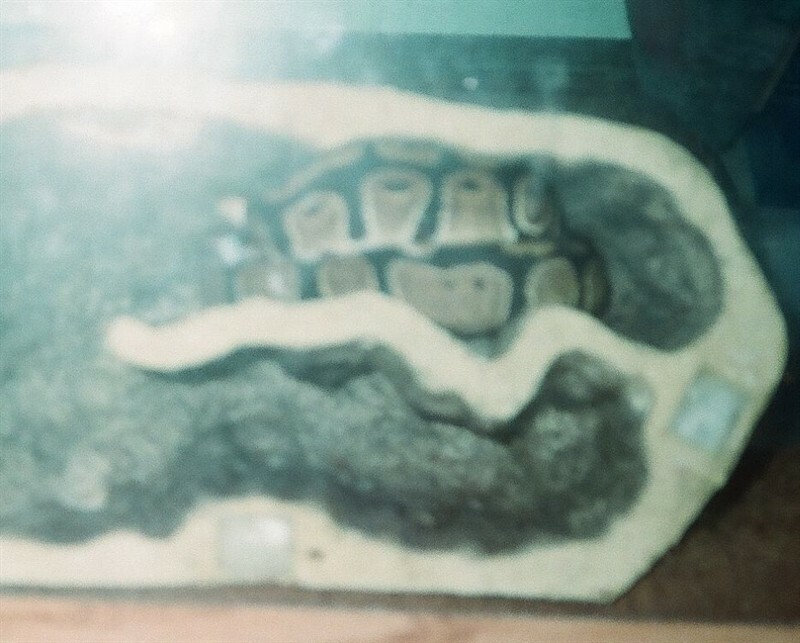 He was an amazing snake who really went through it all with me. I really thought I'd have another 10-20 years with him, but I guess it just wasn't in the cards for us. I'll miss him like crazy. Today I was sorting through some boxes and I found his first shed ever with me. That definitely hit me... I'm glad I had the foresight all those years ago to know that I'd cherish that little shed someday. Might seem weird to some, but I'm sure you guys would understand. I am very happy I got to handle him one last time before his death, but still feel like a failure in some ways. RIP Randal! I love ya boy. 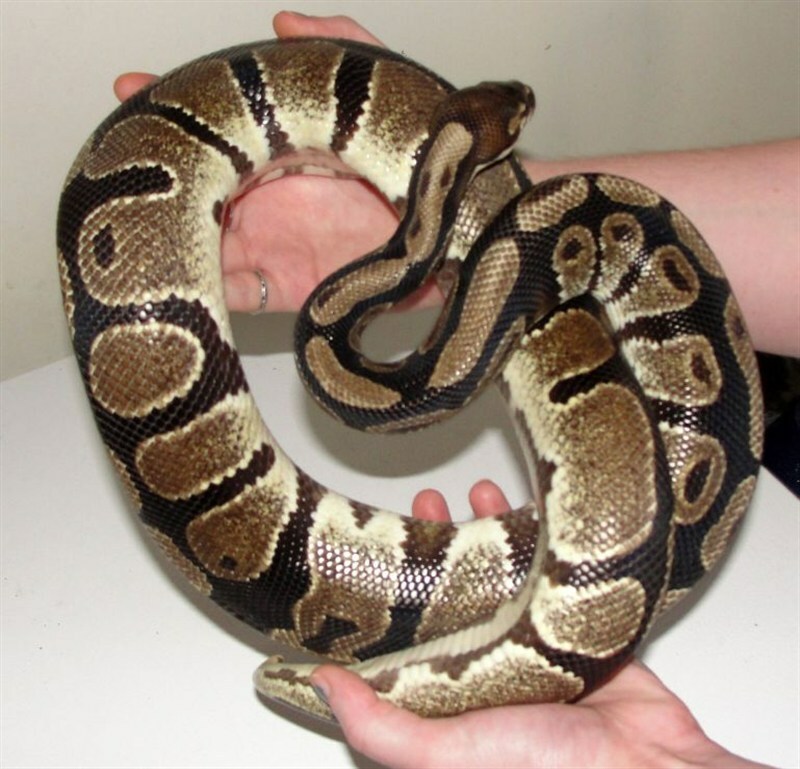 I am so sorry :( trust me, I know what it is like to lose a snake that means that much to you. It doesn't ever fully go away. But you'll find your own ways in time to remember him. I kept the snake bag that I brought Bandit home in. It's no bigger than my outstretched hand. I am actually going to sculpt an exact replica of Bandit and place him on a piece of ammolite as a pendant. That way he can always be with me! Anddddd great. Now I am bawling my eyes out. Hugs! Thank you Shannon. I'm crying too. It hurts. :( I am so sorry about Bandit, he was beautiful. I think a replica of Randal would be a great way to remember him, I'll definitely be in need of your services soon! I'm so so sorry for your loss. I'm really not trying to upset you more but have you considered having a necropsy done? If you haven't, you really should. It might be able to bring you some closure. I've considered it, but I have decided not to go that route. My vet is quite a drive, and since he was away from my collection I'm not concerned of any kind of spread, and I don't think it was disease related anyway - it could still reveal some information though. I also already put him in my freezer so that negates some of the usefullness of a necropsy. I may want to get him preserved one way or another down the line so that is another reason I've decided not to go with a necropsy. Normally I would get one done though. I know all too well what you are saying when you said you "still feel like a failure in some ways," but I also know that you shouldn't. I lost both of my dogs a few months ago (they were about 13 years old), within 2 months of each other. I lost them both to cancer, and while most of us know very well how little control any of us has over cancer, or the funds needed to battle it (and I did fight/treat it as best as I could afford), I couldn't help feeling I had failed them. I chalk it up to the very intricately layered emotions that come with loss. You & I both know we did everything we could do... and we also know too well we did more than many others would. Don't kick yourself with guilt. Embrace your memories with Randall without regret. It's not wrong to be sad and to miss him, but don't blame yourself. Abby, sorry to read this I understand the thought on the no necropsy. I've had one done, but chose not to do it on another one. Sometimes it's worth it, sometimes it's not. Thanks guys. Niki, I've gotten a few necropsies in the past (on snakes who didn't win the battle with the same RI Randal beat actually) and while it was useful in that situation, I don't think it would be a major help here. Maybe I'm wrong, but I just don't want to have his corpse mangled if it doesn't absolutely need to be. With the drive it also makes it hard for me to retrieve the body back after the necropsy, which in his case I would definitely want his body back. My heart breaks for you :-( I'm so sorry for your loss!!! I'm sorry Abby. We all know where you are coming from. I'm a sap for collecting stuff and holding on to memories. In some way I myself and horrible with nastolgia. I have one of our snakes very first shed ever pinned up on the wall, so I definitely know where your coming from ;) It will get better with time my dear. Take it easy and keep your chin up. Just know that he's done fighting and struggling. I'm so sorry for your loss! You really did everything you could for him. Rest in peace, Randal. aw, I'm sorry for your loss. My heart goes out to you. That little snake had a great life with you in spite of his struggles, and you should feel pride through your grief that you took such great care of him! I am so sorry, I teared up reading it. Everyone thinks I'm nuts because I kept my babies first sheds, too. I understand. This is aweful, so very sorry. I lost all of my starting colection, so I know how you feel. Still trying to get the ground back under my feet. We are one big community who although don't always get along well with one another can sympathis to something like this. lots of hugs!! Oh Abby! I am so sorry to hear this!!!! You know my Butter Ball has been down the RI road, and he had had it for some time without me knowing to have started treatment earlier. Now over the last week I found that he is kind of "sticky" mouthed. 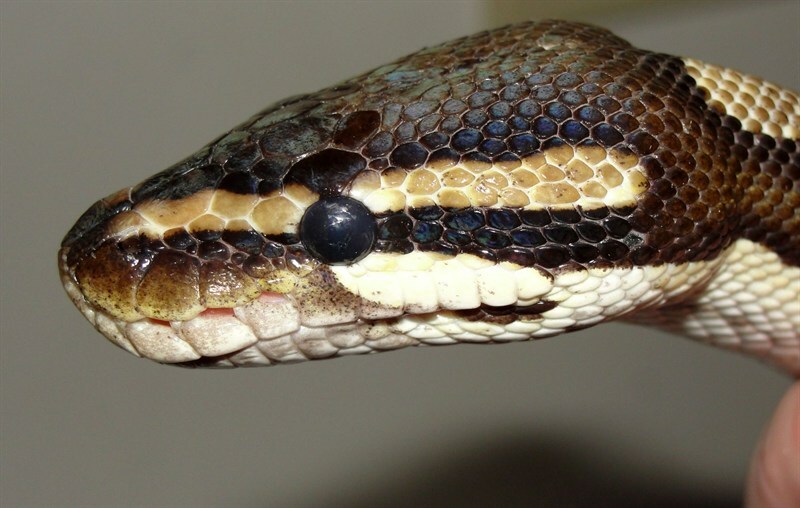 I have not lost a snake but I have been worried about my Butter Ball and worried that he had a lot of damage and I may loose him earlier than I should and it freaks me out, I can't even imagine how you must be feeling!!!!! Bummer .. Sorry for your loss ! I teared up too. It is always awful to lose an animal, I cant imagine what it is like to lose one you have had for so long. My guys are all fairly young, but one can never know what will happen. I'm sorry for your loss, but I'm glad you kept his shed! I am very sorry for your loss. Those first snakes of ours really hold a deep connection with those of us that grow to fully appreciate all that they are. Hugs for you. Abby.... I'm so so sorry. What a special tribute to Randal that you share in the story of his life with you. And what a beautiful boy he was. I know how wonderful you are in caring for your little charges....and I know that he was lucky to be one of those for the many years you two have shared. Thank you for trusting those of us here enough to share Randal's story....thank you for allowing us to share your grief...and your memories of him. Much love to you. Lisa, hopefully your guy isn't going back down the RI road - RI's are nightmares and I hope I never have to see one again! Good luck with him! 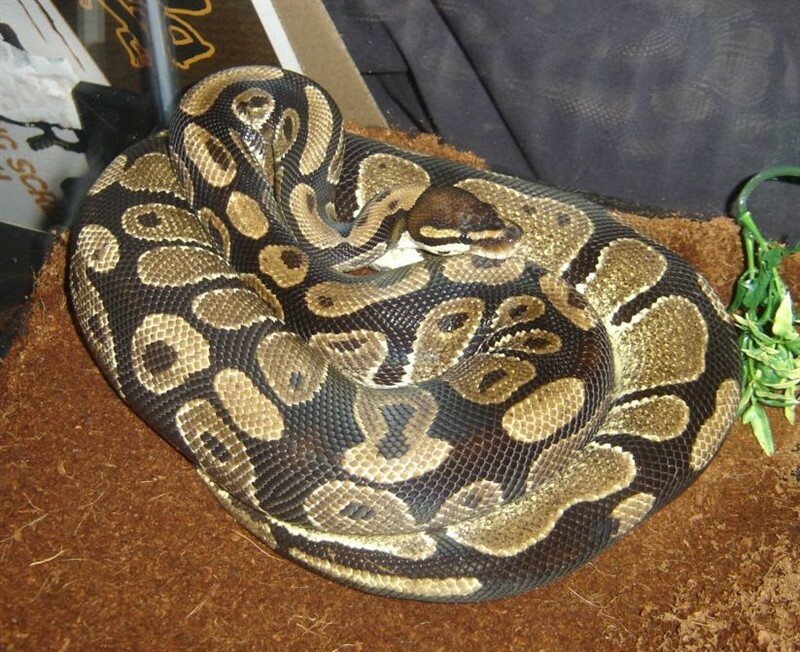 Bless u both... Hope youre feelin a lil better today...mu ball python edmond is my first snake im more attatched to the lil fella than i eva imagined i wid be...the day he leaves me will b a sad day. Poor little guy. I'm so sorry for your loss. He was a part of the family for such a long time, it's going to be weird with out him. You did the best you could for him so please don't blame yourself. I will keep my eye out for more pics of him from back in the day. I have Sugar's first shed. So sorry, I know it hurts.